Well, it’s March! I keep on saying I will update the blog this week and then the week is gone..
It’s been a busy year so far and promises to be a busy one ahead. In between Teachers Accreditation Courses, client quilts, ill children, travelling husband, we are now moving house as well!!! Oh my dear, there is a lot of boxes standing around for the big move next week. I still need to pack my studio…But I can’t wait for the new house. We will have a lot more space for the family to grow and prosper. And my new studio…Oh My, it’s double the size of my current studio! Yeah! And hubby has a nice big office, also double the size! A new and exciting venture. I did some client work this year. 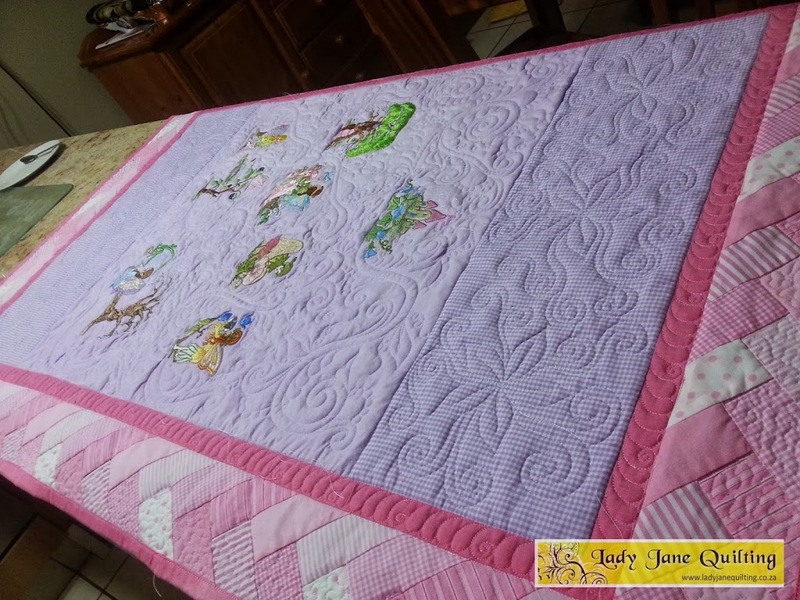 First up was another baby quilt for Beryl, all freemotion quilting. 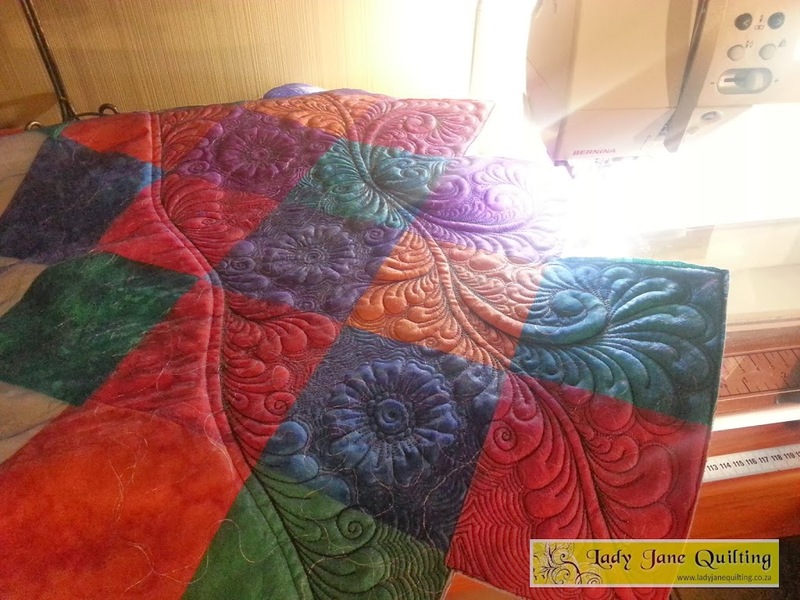 She did not want a heavy fill stitch on this quilt. 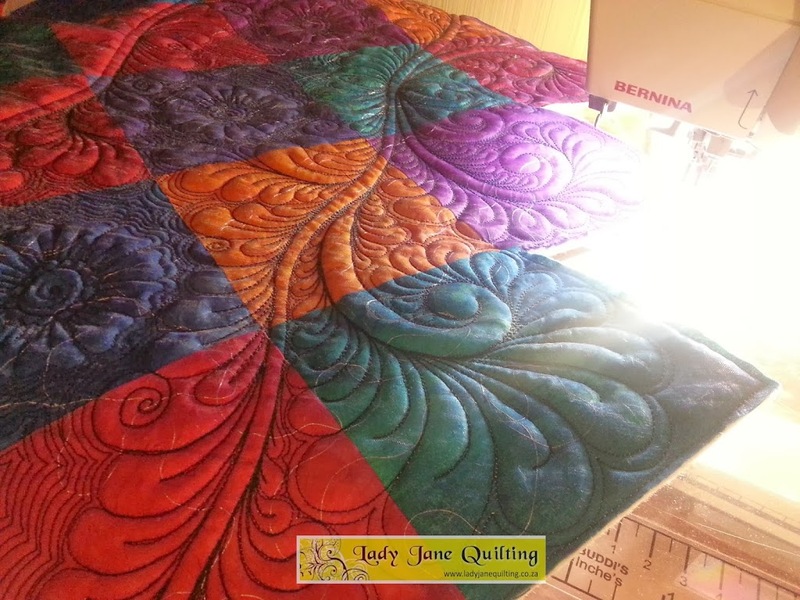 I also played a bit…made a handbag from this piece of freemotion quilting, pieced and layered cloth. It was intended as a gift for my Sister-In-Law but a lady at our guild meeting fell in love with it, and I let her buy it from me. SO… I had to make a new bag for Elna, she got the “New and Improved” version, bigger and better. She still needs to send me pics of her bag as I literally finished it on my way to her birthday tea.